My Black Coffee Ice Cream recipe is the real deal --- no namby pamby coffee flavor here! 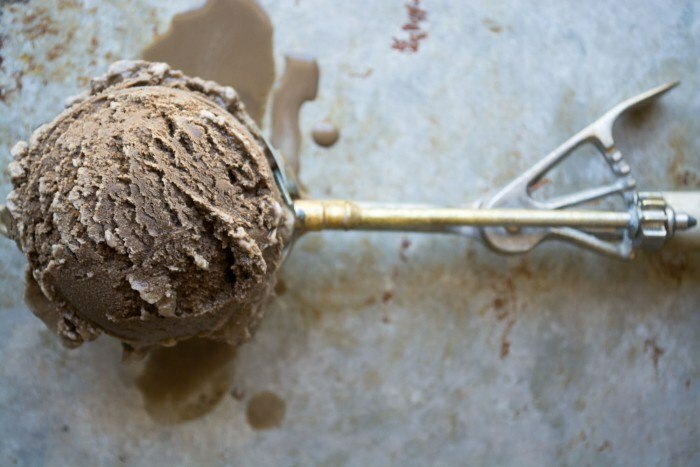 This homemade coffee ice cream made with espresso will satisfy your wildest caffeine cravings. Put one cup of the half and half in a saucepan and stir in the espresso, cocoa powder, and sugar. Heat and stir just until everything gets dissolved. Remove from heat and let cool. Add remaining half and half and vanilla and refrigerate until cold. Pour the mixture into your ice cream machine and process according to its instructions. Spoon the soft ice cream into a container and freeze. Homemade ice cream is best eaten the day it is made.